Rajasthan Royals have announced Indian sportswear brand Alcis Sports as their official multi-year Kitting & Merchandise partner. Alcis have been instrumental in creating the Indian Premier League Pink City franchisee’s new ‘PINK’ identity. 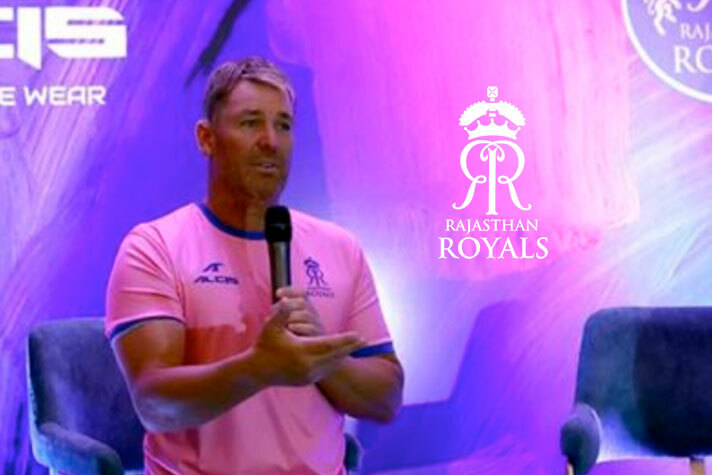 The apparel range for Rajasthan Royals players consists of match jerseys, training wear, gym wear and everyday wear; and features some of the most advanced garment technology. Stylish, easy and comfortable to wear, they are equipped with features such as Dry-Tech — which doesn’t hold sweat and moisture for long, and are made with Anti-Microbial, Anti-Odour and Anti-Static finishes. Besides doing the player kitting for the season, Alcis Sports has also launched an exclusive athleisure line by the name of ‘The Royals Collection by Alcis’. The newly-launched line encompasses sportswear as well as daily wear for men, women and kids. This line includes match jersey inspired fanwear and athleisure, which will be a mix of playing jerseys, practice jerseys, polos, tees, tracktops, trackpants, shorts, leggings and caps across adults aged 13-45 years as well as kids aged 7-12 years, at an affordable price. Alcis Sports is the first Indian brand to have the capability and production ability to manufacture technologically advanced sportswear to enhance the performance of the wearer, bringing the best of style, comfort and cost; backed by great innovation and technology, Rajasthan Royals have stated in a Media release. The newly-launched athleisure line has been made available to customers from March 2 at four Alcis exclusive stores; Vaishali Nagar, Behror and Bagru in Rajasthan and Kamla Nagar in Delhi and at Large format retail stores such as Shoppers Stop, Lifestyle, Central & Brand Factory. The line will also be available online on alcissports.com, Myntra, Amazon, Flipkart, Snapdeal, Paytm, Limeroad, Tata Cliq, Gofynd.